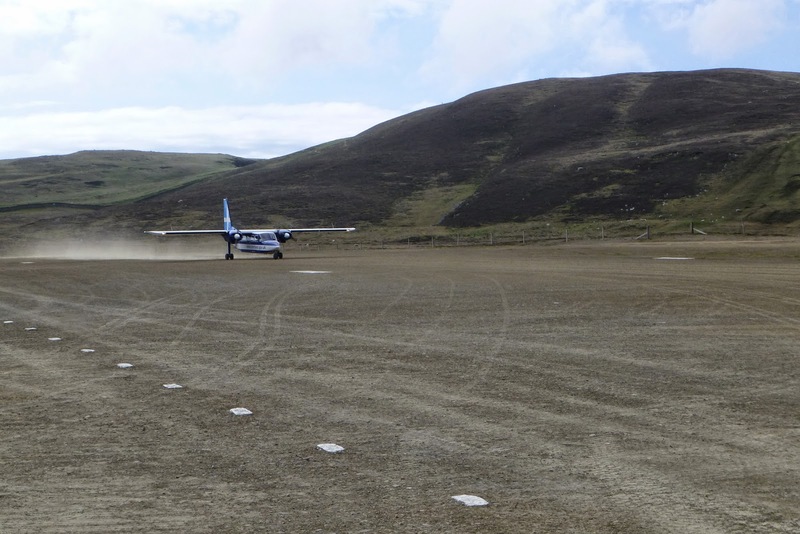 Fair Isle Bird Observatory: the Warden's diary: Mixed Bag. Rubbish weather on 6th saw few highlights, although three Dotterel on Mire of Vatnagaard briefly would have been more appreciated if the visibility hadn't dropped to about five metres by the time we attempted (unsuccessfully) to relocate them. There were also Grey Wagtail and Cormorant new in, an increase in Dunlin to 28 and a Waxwing still present, along with Kumlien's Gull (to 7th) and the Caspian Stonechat (to 10th). A better day on 7th saw several highlights including a Corncrake trapped in the Gully, the first Wood Sandpiper, Great Northern Diver (both near Ditfield) and Garden Warbler (in Field Ditch) of the year, a Goosander (which lingered off the south coast until 10th) and the Subalpine Warbler at Burkle and Wryneck both re-emerged in the sunshine. An interesting selection of migrants included five each of Pink-footed and Barnacle Geese, a Bar-tailed Godwit, 30 Woodpigeon, 3 Collared Dove, Short-eared Owl and 63 Swallow, with passerines showing increases including 4 Lesser Whitethroat, 3 Whitethroat, 4 Sedge Warbler, 8 Ring Ouzel, Pied Flycatcher, 5 Tree Sparrow and 3 Linnet. 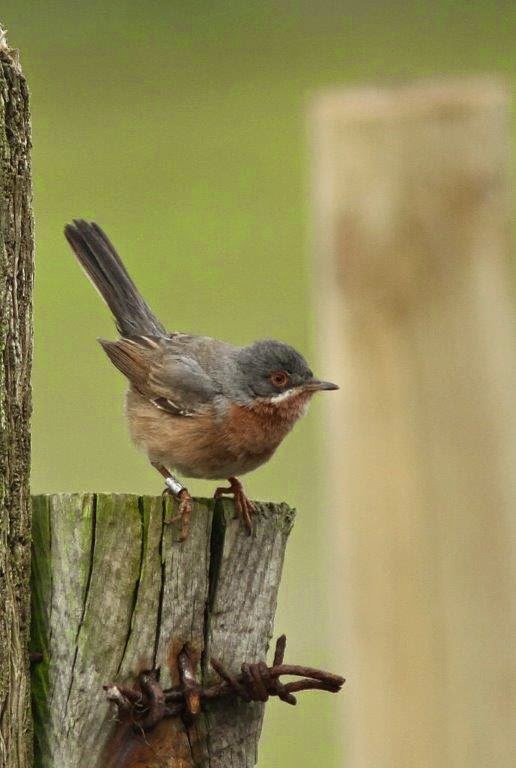 Subalpine Warbler (photo: Deryk Shaw). The sunshine was to this bird's liking, with it bursting into song on occasion. A quiet day on 8th saw a nice calm start, which allowed the Breeding Bird Surveys to be done, then a trap round that produced an Eastern Subalpine Warbler in the Gully, although there was very little else new through the day other than a flyover Red-throated Diver and an arrival of Arctic Terns (which peaked at 97 on 10th), whilst the calm sea saw sightings of Porpoise form Meoness and Minke Whale from the Good Shepherd and a Wryneck trapped in the Vaadal later in the day may have been a new bird. 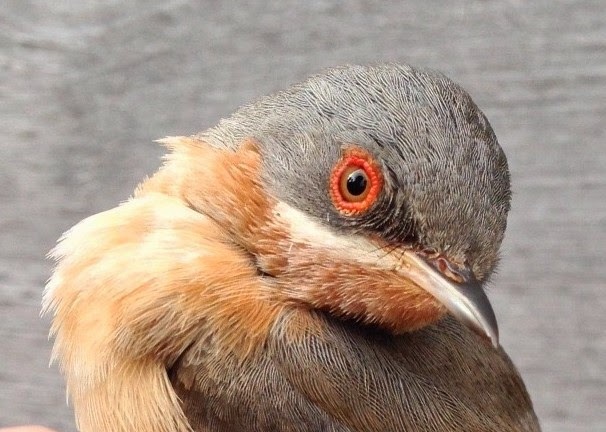 The Eastern Subalpine Warbler showed the classic tail pattern of this (widely expected to soon be) species, but also the thicker 'tache and more restricted pink coloration on the throat and upper breast. The last time Eastern and Western birds were seen together on Fair Isle was 2011, when a long-staying male Eastern was joined for a day by a Western in the Obs garden (with the two being seen to skirmish at times). Both races were also present on the same day in 1994. (photo: Ciaran Hatsell). 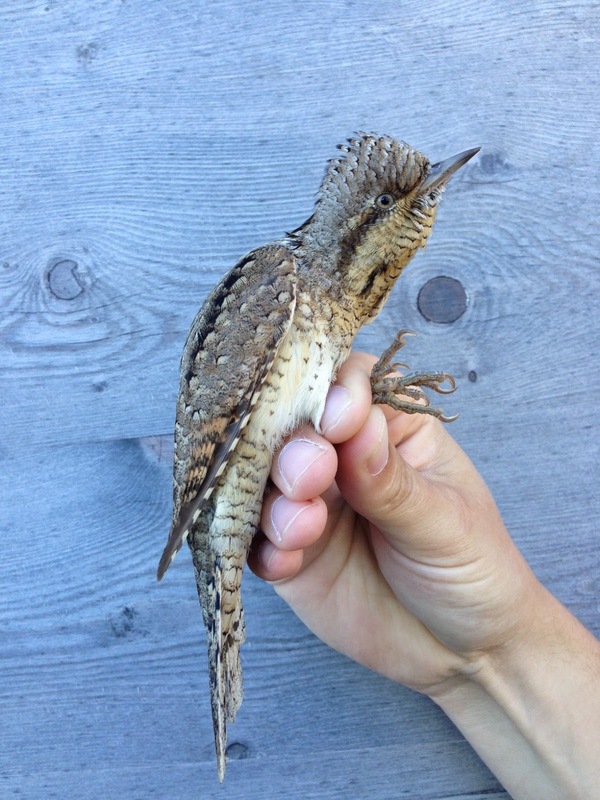 The second Wryneck of the year to be trapped in what has been a very good spring for this amazing species (photo: Ciaran Hatsell). A slightly fresher easterly breeze on 9th saw a good selection of migrants, with the highlights including the second Little Bunting and Bluethroat of the spring, the fourth Short-toed Lark of the year, a Grey-headed Wagtail (a smart male at Da Water), Wryneck (probably a lingering bird at Lower Leogh) and the first Spotted Flycatcher of the year (in Skinner's Glig). 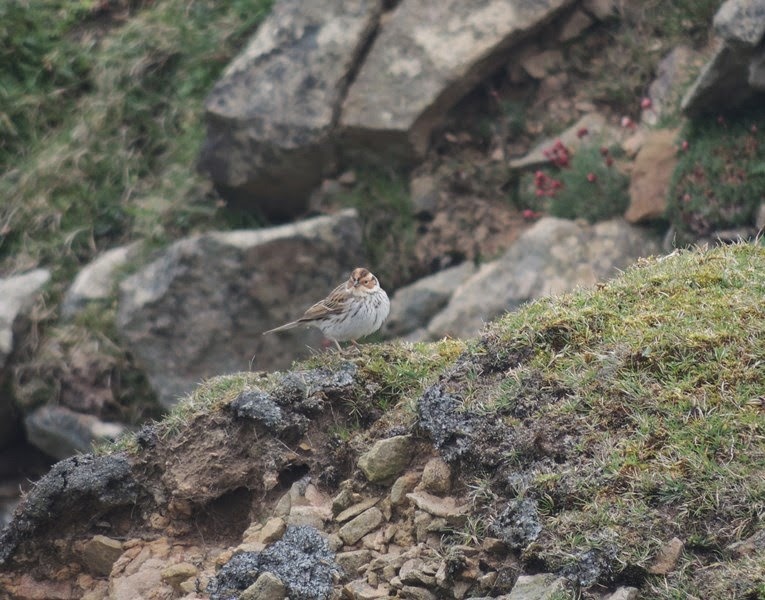 The Little Bunting on the cliffs of Easter Lother. 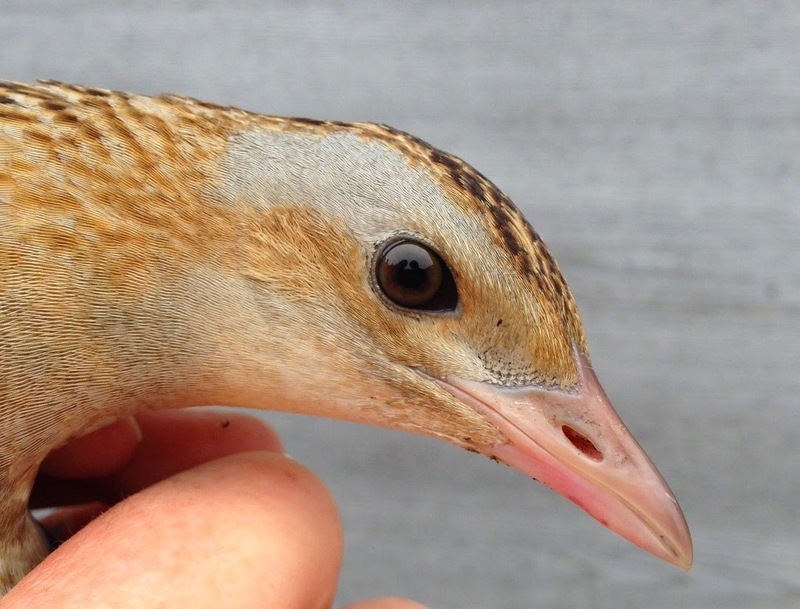 The second of the year makes it the best spring for this species since 2002. (photo Bex Outram). 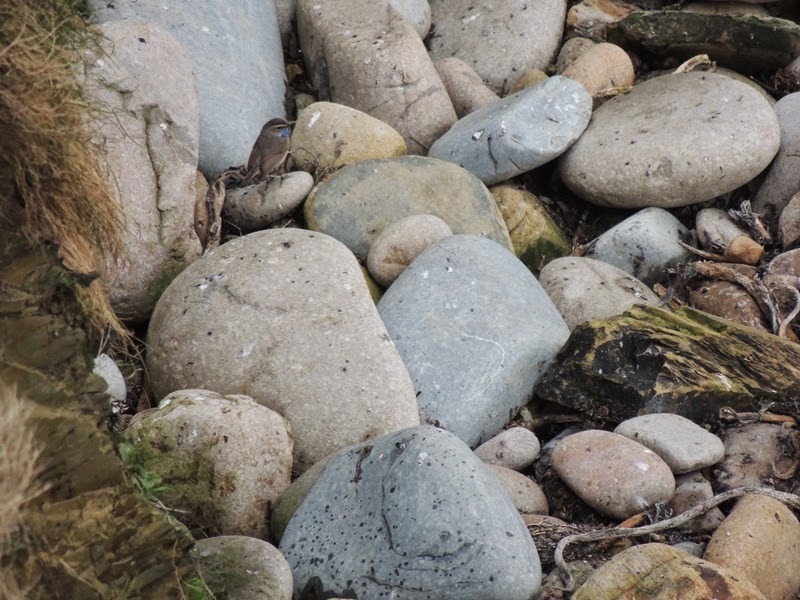 Male red-spotted Bluethroat on the beach at Furse (photo: Ciaran Hatsell). There were also plenty of migrants scattered around the cliffs and crofts, with counts including 19 Willow Warbler, 14 Chiffchaff, 20 Blackcap, 11 Lesser Whitethroat, 3 Whitethroat, 6 Blackbird, Fieldfare, Black Redstart, 6 Redstart, 3 Pied Flycatcher and 8 Common Redpoll. Although the promising feeling conditions continued on 10th, highlights were disappointingly limited, with the first Reed Warbler and Cuckoo of the year, an increase in Pied Flycatchers to 5 and the first Jack Snipe of the month. 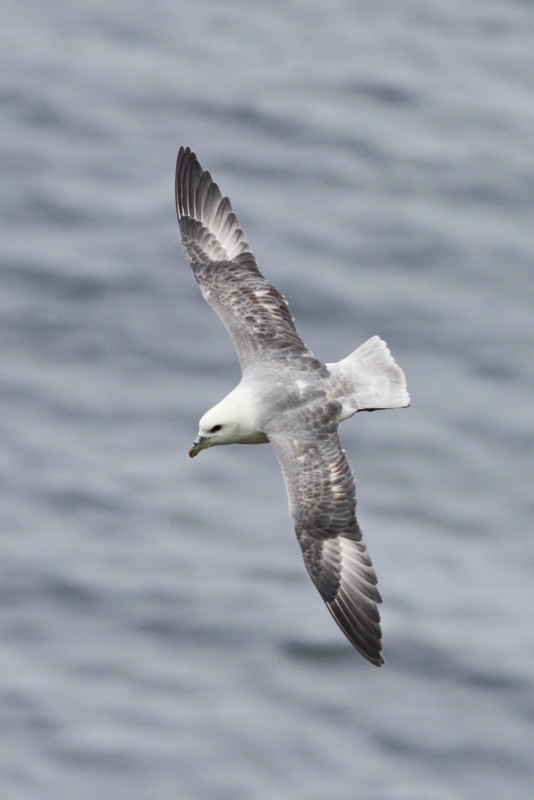 Fulmar. Seabirds are starting to settle down a bit now and we wait to see how the season develops. Guillemots, Razorbill, Shags and Gannets are all on eggs (and Snipe, Curlew and Oystercatchers are all now incubating as well). Susannah and the kids 'popping out to the shops'. With shoes, wellies and a bike to get, it's the bright lights of Lerwick for most of the Parnaby family for the weekend. Within about 12 hours of them leaving I managed to run out of clean clothes and dishes and had got scurvy. No, not really, I'm just about coping!